550 pages | 9 B/W Illus. The position and role of the business school and its educational programmes have become increasingly prominent, yet also questioned and contested. What management education entails, and how it is enacted, has become a matter of profound concern in the field of higher education and, more generally, for the development of the organized world. 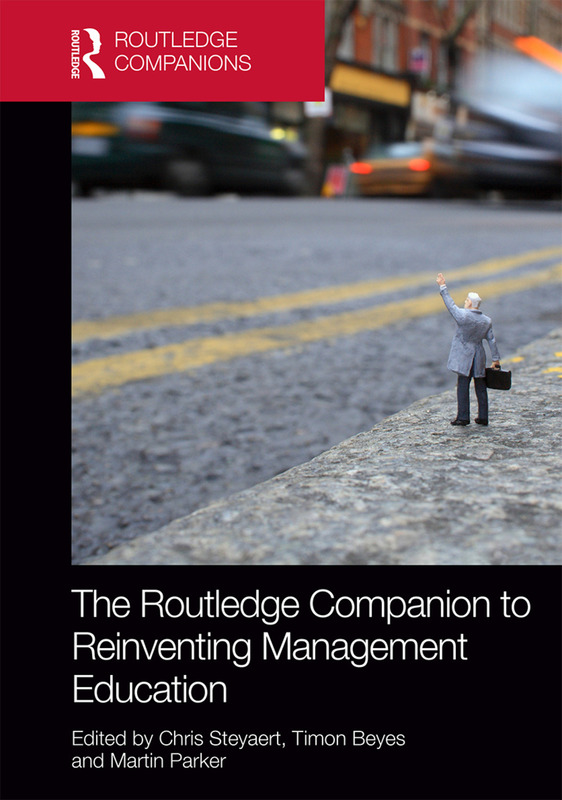 Drawing upon the humanities and social sciences, The Routledge Companion to Reinventing Management Education imagines a different and better education offered to students of management, entrepreneurship and organization studies. It is an intervention into the debates on what is taught and how learning takes place, demonstrating both the potential and the limits of what the humanities and social sciences can do for management education. Divided into six sections, the book traces the history and theory of management education, reimagining central educational principles and outlining an emerging practice-based approach. With an international cast of authors, The Routledge Companion to Reinventing Management Education has been written for contemporary and future educators and for students and scholars who seek to make a difference through their practice. Chris Steyaert is Professor of Organizational Psychology and Director of the Research Institute for Organizational Psychology at the University Of St. Gallen, Switzerland. Timon Beyes is Professor of Design, Innovation and Aesthetics at the Department of Management, Politics and Philosophy, Copenhagen Business School, Denmark.